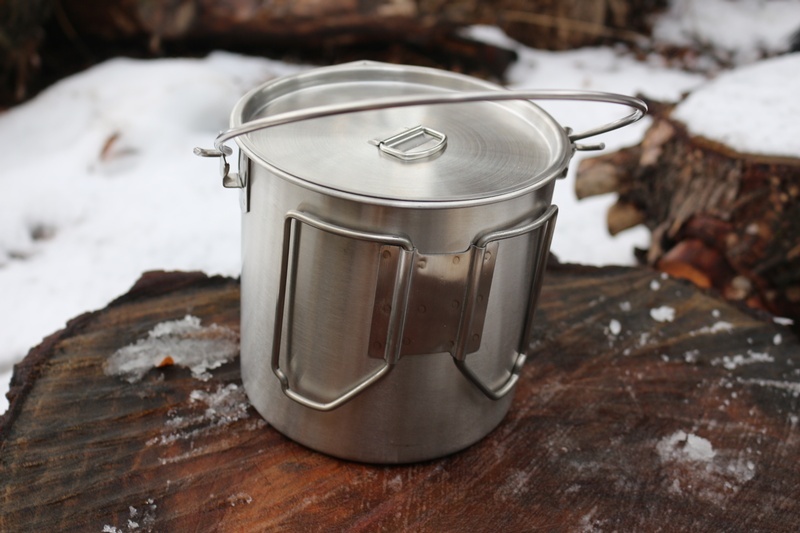 Well designed, solid Bush Pot from Dave Canterbury and the Self Reliance Outfitters. Whether you are in a survival situation or out on a leisurely hike with your family, at some point the dinner bell is going to ring. 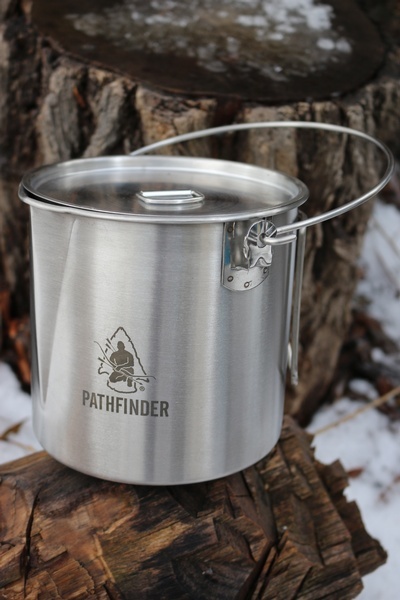 The Pathfinder Stainless Steel Bush Pot is light weight and has the capacity to cook a hearty meal for a small family. 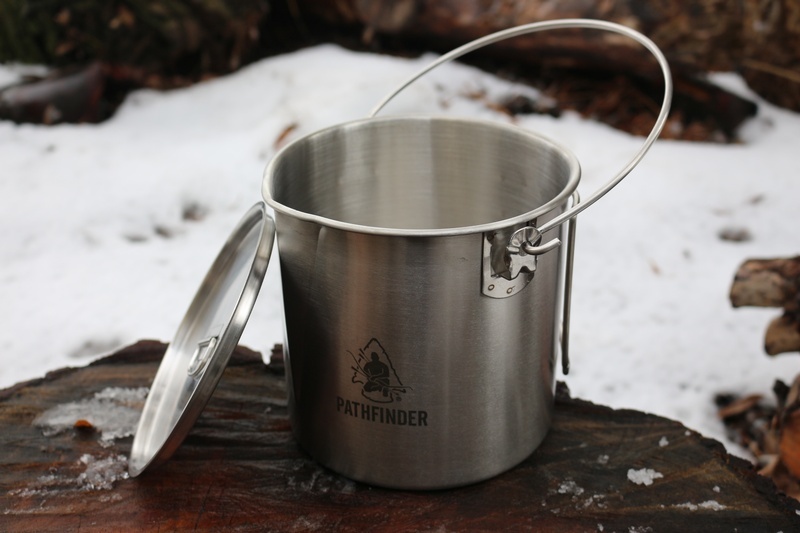 Purchase through PayPal by using the "Add To Cart" button above or use the form below to order the Pathfinder Bush Pot 64oz . 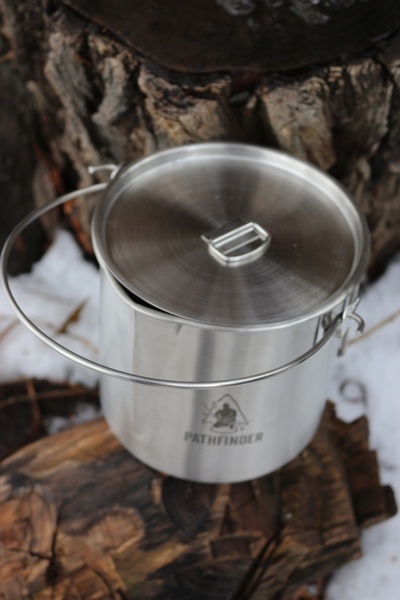 Feel free to contact us if you have any questions about the Pathfinder Bush Pot 64oz .